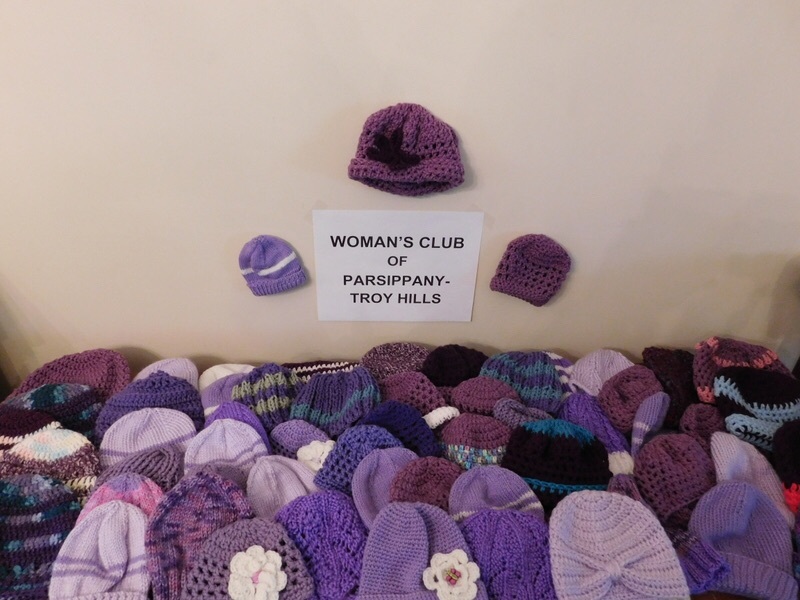 The club recently participated in the “Click for Babies” campaign. They clicked their knitting needles and flicked their crochet hooks to produce 75 caps for newborn babies. “Click for Babies” is a program of Prevent Child Abuse NJ that aims to reduce or eliminate Shaken Baby Syndrome in infants who are delivered at hospitals across the state. The program educates parents of newborns about their babies’ period of purple crying and sends each baby home with a purple cap as a reminder to the parent NOT to shake the baby as a response to the crying.